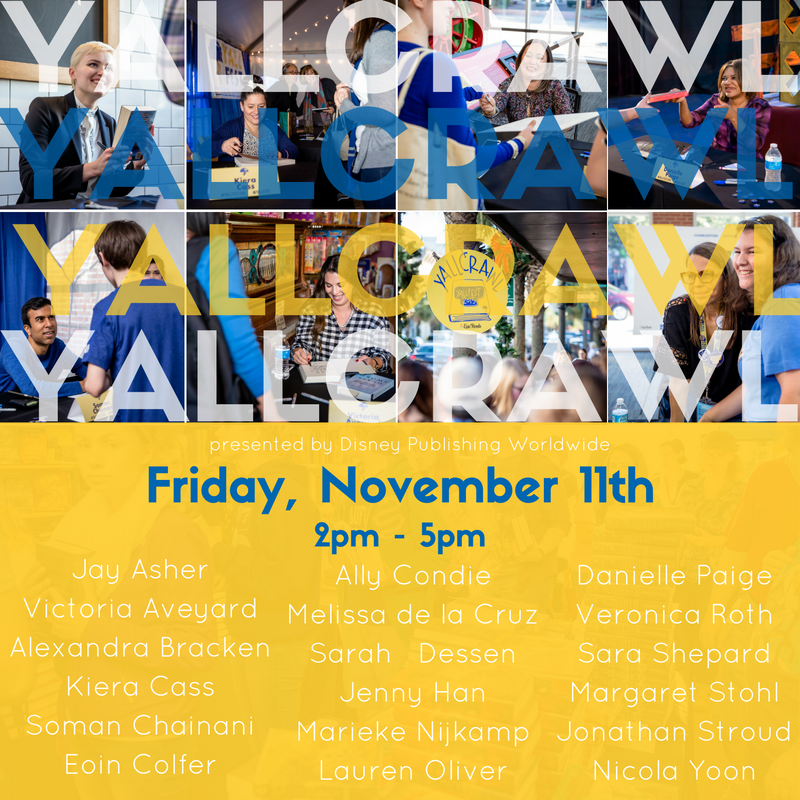 Join me for the YALLFest YALLCRAWL. I’ll be at Jeni’s Ice Cream starting at 2PM for Jeni’s Ice Cream Takeover: Presented by Disney. I’ll also be signing there starting at 3PM. Come for the ice cream, stay for the books. The full YALLFest schedule is now up at their website. Meet your favorites authors and have a rocking good time in Charleston, SC.